Although welding is an industrial process with well-known health effects, the effects of heavy metal exposure on the respiratory system during welding are largely unknown. In this study, we investigated the correlation between blood lead and cadmium levels, and respiratory function among welders. The study investigates 207 male subjects who applied to Occupational Disease Hospital, Ankara, Turkey. These subjects were categorized into three groups: one, non-smoker office workers; and two exposed, non-smoker groups (n = 96) that comprised welders who had history of metal fume exposure for less and more than 4 h a day. Lung function test was performed on all groups. Correlations between blood cadmium and lead levels and lung function test were evaluated statistically. Forced vital capacity (FVC) % and forced expiratory volume in 1 s (FEV1) % increased, and FEV1/FVC ratio decreased in welders who were exposed to metal fumes for less than 4 h a day (p < 0.0001). The group that was exposed for more than 4 h/day had increased FVC % and decreased FEV1 % and FEV1/FVC ratio (p < 0.0001). Blood cadmium and lead levels were high in both the exposed groups (p < 0.0001). Welders who were exposed for more than 4 h/day had significantly decreased FVC %, FEV1 %, FEV1/FVC ratio, and peak expiratory flow (PEF) values (p < 0.0001). All lung function parameters (FVC, FEV1, FEV1/FVC, PEF) decreased in subjects with high blood cadmium levels (p < 0.0001). 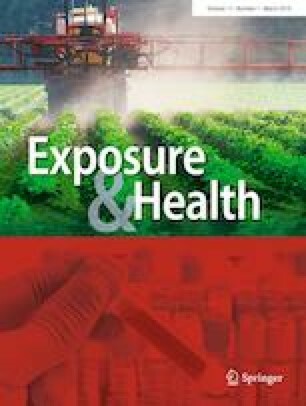 This study clearly shows the increased working hours of exposure to welding fumes and severity of metal exposure correlate with impaired lung functions. The authors declare that there is no conflict of interest, this manuscript has not been published previously, and is not under submission elsewhere.